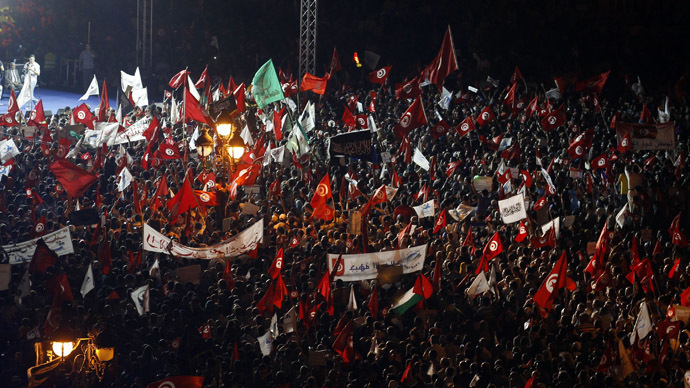 Thousands of Tunisians flooded the capital in support of their Islamist-led government amid calls for its ouster. 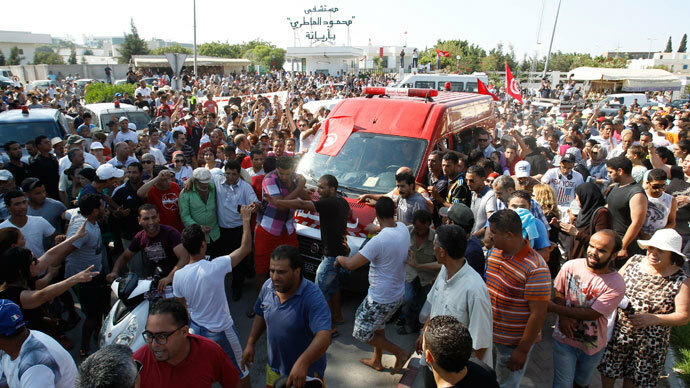 Members of the secular opposition have alleged the ruling Ennahda party orchestrated the murder of a prominent leftist politician. Over 150,000 people flocked to Tunis’ central Kasbah Square, brandishing Tunisian flags and shouting pro-government slogans. The throng chanted “No to coups, yes to elections!” referencing the untimely ouster of Egyptian President Mohamed Morsi on July 3 by the army. 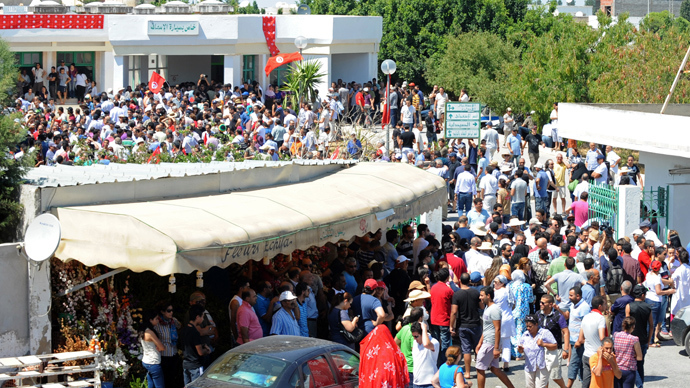 Tunisia’s secular opposition has also planned mass protests this weekend, calling for the disbandment of the government. Prime Minister Ali Larayedh has resolved not to step down and has called on the protesters for calm. "Tunisia is in need of national unity. I call for calm so that the army and security forces can combat terrorism and not waste its efforts on protests,” said Larayedh. Larayedh held talks with senior politicians on Saturday in a bid to help resolve the growing social unrest that followed the murder of prominent left-wing politician Mohamed Brahmi a week ago. However, the talks failed to produce any tangible result as members of the opposition refused to attend. 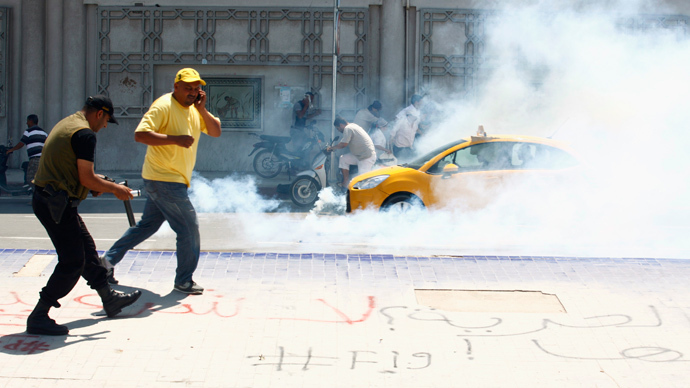 Brahmi’s family and members of the Tunisian opposition have alleged Ennahda’s complicity in his murder. The politician was gunned down outside his house over a week ago by two men riding a motorcycle. 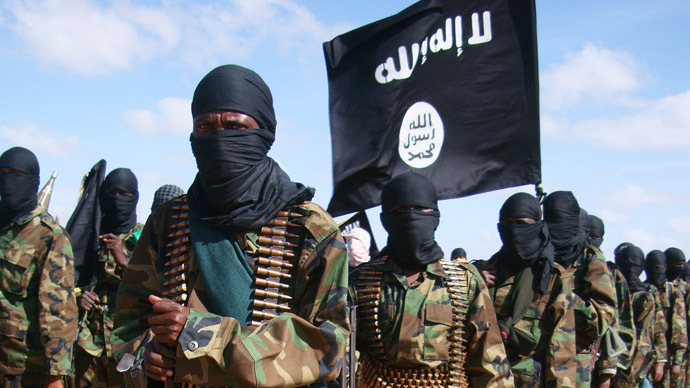 The government laid the blame for the killing at the feet of Islamist extremists. The murder of Brahmi mirrored the killing of opposition activist Chokri Belaid, who was also shot dead outside his house six months ago. The opposition has been protesting almost daily since Brahmi’s assassination, with demonstrators clashing with police. The have called for mass protests on Sunday as a countermeasure to the pro-government rallies. The Tunisian armed forces launched airstrikes against militants who killed eight soldiers earlier this week in the deadliest attack on government forces in decades. Meanwhile, two bomb blasts targeted security forces in the Tunisian capital during the week, the first attacks of their kind to be seen in Tunis. Furthermore, the Interior Ministry announced on Saturday that “two dangerous terrorists" had been taken into custody for planning an assassination attempt on a politician in the coastal town of Sousse.